Growing up in Sydney, I’ve developed a bit of a soft spot for ferries. 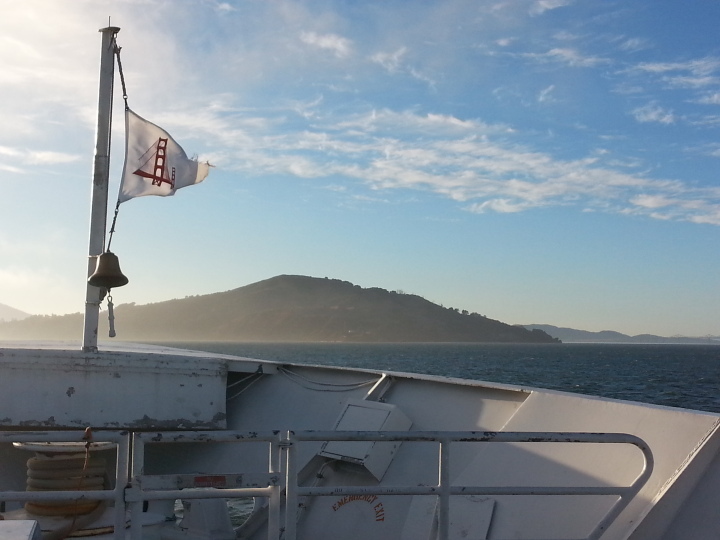 Golden Gate Ferry is particularly great for its fine and extensive view of the Golden Gate Bridge and city. We usually catch the boat to Sausalito and have our friend pick us up, but there are buses that go all over Marin County as well as the option of taking your bike on board. Local tip: use your Clipper Card to get a big discount on the ticket. Except for the insanely windy road you need to take to get to them, these beaches are gorgeous. Stinson is bigger, more developed (shops, picnic areas, etc.) and gets crowded in summer. 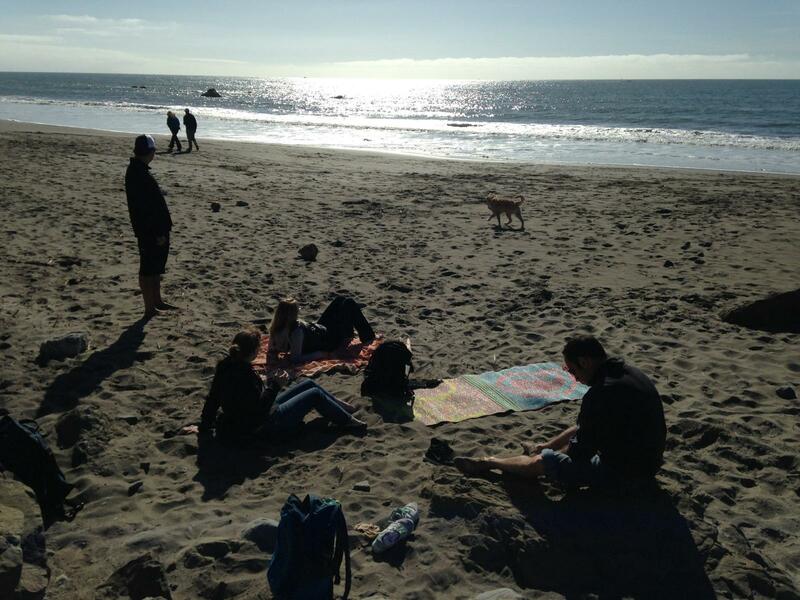 But, the traffic and parking hassles are totally worth it — think body surfing and swimming with seals! Muir has more of a local feel and bonfires are allowed. Both are great for a refreshing swim or soaking up some winter sun. While you’re in town, drop into Equator Coffee. The coffee’s good and there are plenty of delicious options for brunch-on-the-go. Did someone say cronuts? On your way to or from one of the beaches, stop off for lunch or an afternoon snack at the Pelican Inn. It’s a cosy British-style pub with a lovely lush lawn and pretty good grub. Find a spot on the lawn and soak up the vibes with a glass of cold apple cider. I know I’ve only scraped the surface of Marin County and can’t wait to discover more gems. Do you know any? This entry was posted in Cities, Explore, San Francisco. I haven’t spent much time on the Marin side either but I hear it’s nice! Have you been to Muir Woods yet?